Here's also How to Collect Your Dust as a helpful PDF. The first step of the combustible dust testing process is typically the Explosibility & Combustible Dust Screening Tests. If the material is found to be explosible in a dust cloud the next step would be a KSt or “Explosion Severity Test” (to determine KSt and Pmax values). You may also want to consider the Minimum Ignition Energy (MIE) or the Minimum Explosible Concentration (MEC) testing. 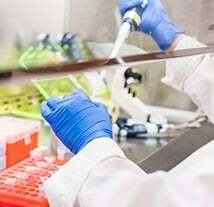 In addition, an independent, skilled lab can assist with any on-site process safety needs to make you compliant with NFPA 652’s requirement for a Dust Hazards Analysis (DHA). “Explosibility Screening Test” based on VDI 2263 Part 1 and ASTM E1226 Section 13 methods. 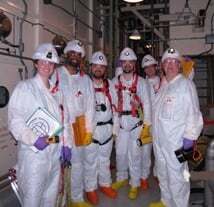 Prelude to full explosion testing – explosion severity and ignition sensitivity. “Combustibility Screening Test” based on VDI2263 Part 1 and UN 4.1: Screening test for combustible dusts. 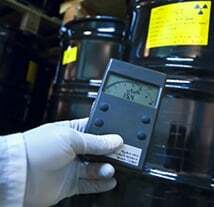 “Screening Package” Test: Combines “Explosibility Screening Test” and “Combustibility Screening Test”. “Hard-to-Ignite” Test using a 500-J ignition source. (ASTM E2019) Minimum Ignition Energy, MIE – Electrostatic Hazards: Identifies minimum spark energy required to ignite a dust cloud without inductance. (ASTM E2019) Minimum Ignition Energy, MIE – Conservative Approach: Identifies minimum spark energy required to ignite a dust cloud with inductance. 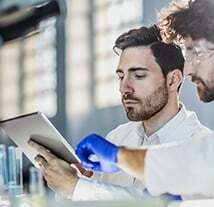 (ASTM E1515) Minimum Explosible Concentration, MEC: Identifies the minimum concentration of dispersed dust required to propagate an explosion. (Like an LFL for gases). 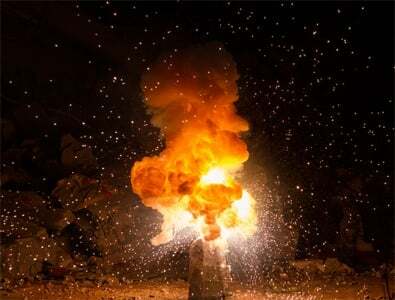 (ASTM E1226) Dust Explosion Severity: Examines the potential violence of a dust explosion of the sample. (Generates Pmax, (dP/dt)max and KSt data). (ASTM E1491) Minimum Ignition Temperature - Cloud, MIT: Identifies the minimum temperature at which the materials will autoignite when dispersed in air as a cloud. (ASTM E2021) Hot-Surface Ignition Temperature of Dust Layer, LIT: Identifies the minimum temperature at which a dust layer will ignite. (ASTM D-257) Volume Resistivity: Measures the conductivity of a dust sample. Charge Relaxation Time: Identifies the electrostatic charge decay time of a dust sample. (ASTM E2931) Limiting Oxygen Concentration (LOC): Identifies the minimum concentration of oxygen needed to propagate an explosion through the sample dust. (Helps to establish the inerting level). Drop Weight Impact (based on UN Transport of Dangerous Goods manual): Identifies the impact energy required to ignite a dust layer. Friction Sensitivity (based on UN Transport of Dangerous Goods manual): Identifies the frictional force required to ignite a dust layer. OSHA Combustible Dust NEP Package: The package includes material analysis for combustible content, Pmax, KSt, MEC, MIE, TGA, and MIT dust cloud. UN4.1 Burn Rate: This test series will be conducted according to UN Manual of Tests and Criteria, Test N.1, “Test Method for Readily Combustible Solids”. The test will determine the ability of a substance to propagate combustion when ignited and its burning time (rate) . A state of the art, independent combustible testing lab can help provide direction on all these things. 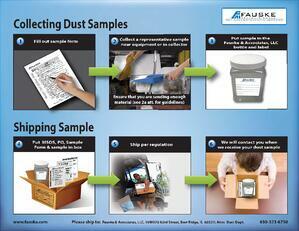 If you'd like to learn more regarding dust sample collection, preparation, and testing check out our information sheet. It provides common examples of combustible dust and answers our most frequently asked questions. For more information, contact dust@fauske.com, 630-323-8750.